No club to join, no membership fees, no galas to turn out for, this is a pure coaching session laid on for Triathletes just needing more high quality swim sessions. Designed with the improving Triathlete in mind. 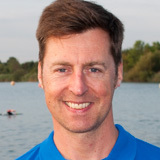 Please note these are not teaching/learn to swim nights – you will be expected to at least have completed an Openwater sprint distance Triathlon (i.e to be able to swim half a mile) The focus will be on fitness with a qualified coach poolside giving tips and advice on technique as necessary. You will need training fins for your feet, a pull buoy and paddles – all are available to purchase from the Speedo store. A 10% discount is available when you book for the full year in one payment. Please call us on 020 7247 2998 to book a full year. You will also get a free workshop added to your account with a value of £60. when you purchase any fitness course 8 weeks prior to the start date. for groups of 4+ persons when booking online (maximum discount = 10%). Lockers at this pool are 20p. To access the pool, you will be required to show a BETTER card. This will be given to you on your first night. Please note that if you do not bring this every week, you will be delayed getting into the pool. Swim for Tri has no control over this. This is a hard pool to find, so please familiarise yourself with the map and the instructions for getting into the pool. From Weston Street, look for Wolfson House. The pool entrance is around the back of Wolfson House, in the basement. Lockers at this pool are £1 (returned to you) Car park is £1 an hour. Car park is £1 an hour. Lockers at this pool require a padlock, which you can bring with you or purchase from the reception.